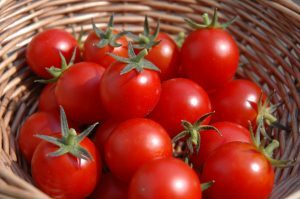 FG announces new policy to boost tomato production – Royal Times of Nigeria. The Federal Government on Tuesday announced a new policy for tomatoes, in line with its objective of boosting production, improving the value chain and attracting investment. The Minister of Industry,Trade and Investment, Dr. Okechukwu Enelamah, made the announcement at a media briefing at the headquarters of the ministry in Abuja. He said the tomato sector policy was developed and is being implemented in collaboration with the Federal Ministry of Agriculture and Rural Development, Federal Ministry of Finance, Federal Ministry of Water Resources, Central Bank of Nigeria, Bank of Industry and the National Agency for Food and Drug Administration and Control. He said the policy is targeted at increasing local production of fresh tomato fruit required for fresh fruit consumption and processing; increase local production of tomato concentrate and reduce post-harvest losses.